Set in prestigious North Scottsdale, Troon Village is a 1,400-acre single-family residential master-planned golf community surrounding Troon Mountain. At a slightly higher elevation (2,400-2,800ft) than the rest of the Valley, this location allows for cooler temperatures and spectacular views. Approximately 1,300 home sites make up this community and include gated, guard gated, and non-gated subdivisions made up of town homes, semi-custom and custom homes. Beautiful surrounding views include the Sonoran Desert, Troon Mountain, Pinnacle Peak and the McDowell Mountains. 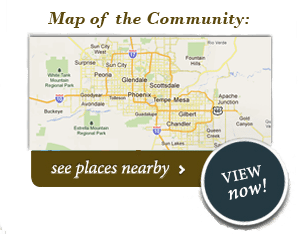 Located near Pima Rd and Happy Valley, Troon Village is approximately seven miles from the 101. The tranquil location is close to nature but readily accessible to highways, nearby shopping and amenities. Troon Village is home to Troon Country Club, one of Arizona’s top-rated golf clubs, designed by Tom Weiskopf and Jay Morrish. The golf course is a certified Audubon Sanctuary, which means the course naturally integrates into the Sonoran Desert environment. TVA is the master association covering Troon Village. It is primarily governed with enforcement of community-wide standards, particularly those covering construction, remodeling and exterior activities. The Village is comprised of 12 sub associations including: Artesano, Ballantrae Ridge, Desert Views/Four Peaks, Glenn Moor, Quail Ridge, Skye Top, Troon East/Saddleback, Troon Fairways, Troon Mountain Community Association (TMCA), Tusayan, Whispering Ridge, and Windy Walk Estates. These sub associations look after items that affect the individual communities such as maintenance of common areas, repair of roads, access gates, etc. This website is the primary medium for communicating information to TVA owners. Supplementary information is sent by email and (when required by Arizona statutes) first class mail. Documents and instructions for those (owners, contractors, architects) planning exterior modifications to their property. “Modifications” include new construction, remodeling, repainting, landscaping, exterior lighting, and any other project, which alters the exterior of an owner’s property. Governing documents (CC&R’s) of TVA, which cover the use of all properties including: minimum rental periods, vehicle parking, trash pickup, and the like. Owners are encouraged to login with their account number and password so they can easily access all of the items mentioned above. Questions/comments on this site should be directed to Mike Roberson ([email protected] or 602-433-0331) TVA’s community manager.